This month’s Social Justice Challenge asks bloggers to write on the topic of domestic violence. This issue was something that affected William Clark and his family on a very personal level. 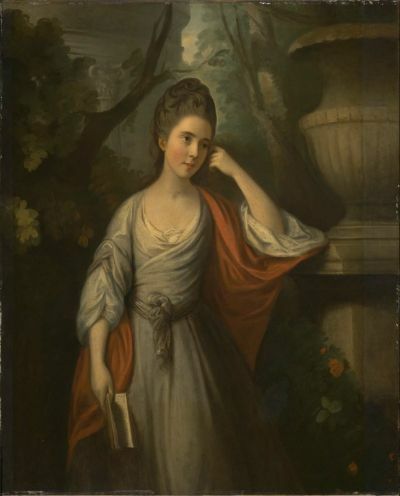 No portraits of Fanny Clark are known to exist. We were inspired by this unknown woman by an anonymous artist of the period. From the collection of the Museum of Fine Arts, Boston. Frances Eleanor Clark — Fanny to her family — was the youngest sister of the famous Clark family and the closest to William in age. While her brother was rugged and soldierly, Fanny was willowy and sensitive. She grew to be one of frontier Kentucky’s great belles, “the black-eyed beauty of Louisville.” It seemed she could have her pick of any man. But somehow, at age 17, she was persuaded to marry James O’Fallon, a 42-year-old Irish physician and rabble-rouser nicknamed “the divine physical.” It seems that O’Fallon had helped Fanny and William’s beloved older brother, the legendary George Rogers Clark, fight his alcoholism and other demons, and together the two men were hatching schemes that would make them rich and enable George to recover his lost greatness. Unfortunately for Fanny and George alike, O’Fallon turned out to be a con man and a bully. Following their marriage in 1791, he first isolated Fanny from her family, then beat her every time she “stepped out of line.” Like many battered wives, Fanny concealed the abuse from George, William, and her parents, not wanting to ruin her brother’s chances for a comeback. But as it so often does, the abuse worsened. While pregnant with her second child, Fanny suffered a mental breakdown in which she heard tormenting voices telling her to kill herself. There was no longer any way to conceal the truth from her family. George Rogers Clark by Charles J. Mulligan, 1909. Riverfront Park, Quincy, Illinois. There are rumors—perhaps true, perhaps not—of an epic fistfight between George Rogers Clark and his abusive brother-in-law. The next time the historical record speaks of the not-so-good doctor, is the courts settling his estate. O’Fallon’s fate and resting place is unknown, but it is impossible not to wonder if he may have met Fanny’s brothers on a dark night on an isolated country lane. Fanny is the lead female character of The Fairest Portion of the Globe, and in weaving her story into the larger narrative we had to learn quite a bit about domestic violence. I read widely on the ordeals of victims, their mindsets, and what determined whether or not they ever tried to break free of abuse. I also read about abusers. O’Fallon, at least, fit the general description of a sociopath. I tried to find some accounts by former abusers, to try to learn what made them tick. Disturbingly, I never found a single one, leading me to believe that self-insight and reform are very rare. The human capacity for brutality and sudden violence would have been much less shocking to Fanny than to most of us today. After all, she grew up during the American Revolution and came of age on the Kentucky frontier. All of her brothers were soldiers, and two of them had died serving their country. 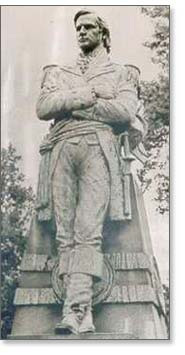 Part of being a gentleman who commanded respect, like Fanny’s father and brothers, was the ability to defend one’s family and community against Indians and outlaws. The men she loved were good with guns, knives, and their fists. The same capacity for violence was intended to extend a shield of protection over women and children. Then as now, men who beat their wives and abused their children were despised by decent people. But that was small consolation during the terror of a beating, with no 9-1-1 and no emergency room to turn to, much less a women’s shelter. 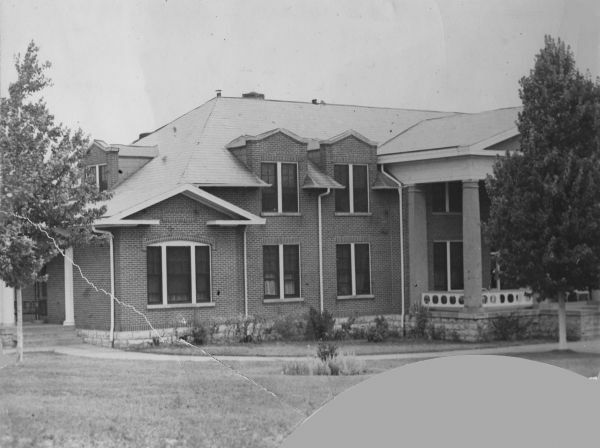 If a community had an almshouse (which Louisville did not until the 1830s), a battered woman might take shelter there until her husband cooled off. Like most American cities, Louisville did not even have a police force in the modern sense until the 1850s. The Jefferson County Poor Farm for Whites, Louisville, Kentucky, 1930. Courtesy University of Louisville. However, it is a myth that the legal system in early America condoned wife beating. If a woman and her family were willing to press charges and brazen out the resulting scandal, the courts were fairly responsive, imposing fines against a man convicted of “excessive violence” against his wife. Worse, the convicted wife-beater faced a loss of public reputation that was very damaging in the small, close-knit society of the frontier. But the wife was still stuck with her abuser. Divorces were not unheard of, but obtaining one was difficult to say the least. As demonstrated by the famous case of Rachel Donelson, the future Mrs. Andrew Jackson, Kentucky required the passage of a special law by the state legislature for a divorce to be granted. 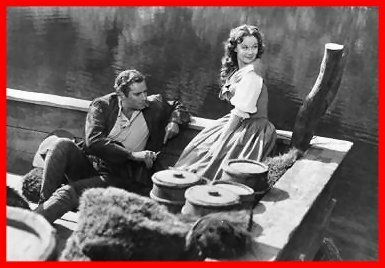 Charlton Heston and Susan Hayward as Andrew and Rachel Jackson in "The President's Lady" (1953). Rachel, who was not obedient and demure, fled her violent first husband. Her choice was so unusual that the resulting scandal dogged the Jacksons for the rest of their lives. Other options were even more unpalatable. Few women with children would choose suicide, murder, or running away, especially not into a world where a woman alone had no status and no honest way to make a living. Most battered women simply had to learn to endure whatever abuse their husbands chose to dish out. I was interested to learn that this was the situation until well into the middle of the 20th century. To most Americans, a wife beater was a drunken bum, an easily recognizable “Stanley Kowalski” type to be despised and his wife pitied. In the worst cases, abusers were prosecuted for assault, but most of the time, police and the courts looked the other way. The reason was that if an abusive husband were thrown in jail, the wife and children would be left without their primary wage earner. At least Fanny Clark had somewhere to run to and brothers to “take care” of her mean husband. For untold thousands, there was no escape. In fact, in the 1960s, many jurisdictions essentially decriminalized domestic abuse. At the time, there was a great faith in the emerging disciplines of counseling and conflict mediation. Police were no longer supposed to “bust heads,” but try diffusing disputes without making arrests. Finally, in the 1970s, the feminist movement brought to light the full extent of domestic abuse in America. Books and studies revealed that some two million women a year (and thousands of men, for that matter) suffered severe violence from their spouse, such as punching, kicking, or choking. And as the Clarks could have testified, it happened in the best of families. Domestic abuse hurts everyone. See the links at the end of this article for how to help someone, or get help. Domestic violence remains one of society’s most intractable and painful issues. Statistics gathered from the Department of Justice indicate that the rate of domestic assaults is dropping. In the middle of the 20th century, it is estimated that some 16% of women were battered in the course of a year, a figure now estimated at 2-3%. Even so, some 200,000 women and 40,000 men go to the emergency room each year because their spouse beat them up. The heartache and pain of Fanny Clark is not history, but all too often, a terrible part of the present. Very much timely and emotive.